When it comes to skincare products especially ones that have a huge hype around them you can only imagine my excitement when I got a mini Emma Hardie Cleansing balm for Christmas. After reading numerous amounts of blog posts about this product and the amount of good reviews of it I could not wait to bathe my face in it. The little Christmas set contained a little 15ml tub of the cleanser and a little muslin cloth to go with it, the perfect amount to let me use it for a week to decide if I'd like to buy the full sized product or not. The first thing I will mention is the muslin cloth. Oh my goodness it is so soft and is the best one I've ever used as you simply rinse it and squeeze any excess water out of it and you can see the makeup running out of it. Of course it needs a wash after a few uses but I definitely can use this one a little longer than other ones I own. The cleansing balm itself not going to lie left me a little disappointed. Yes it removed my makeup and left my skin feeling pretty refreshed after using it, but honestly it's nothing I haven't tried before. For a quarter of the price tag the Boots Botanics Hot Cloth Cleanser does the exact same job and like I said it's much cheaper. I wouldn't pay for a full size of the Emma Hardie cleanser as personally I just didn't see anything that special about it. 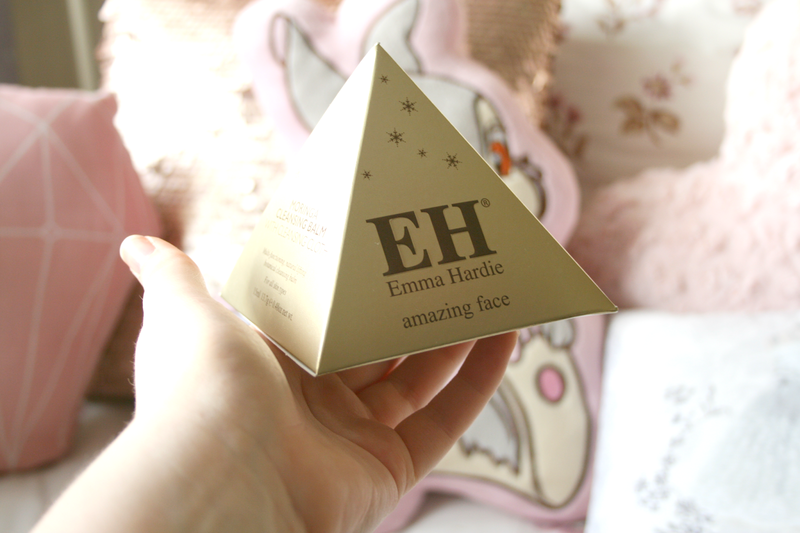 Have you tried the Emma Hardie Cleanser, what were your thoughts? I've never tried this before but that packaging is just stunning *_* I'm so obsessed with facial cleansers and really want to try out balms for the difference in texture so I'll definitely try this one out. I was really interested in this, was thinking of trying it but actually I've heard a few disappointed reviews so perhaps not. Lovely review- very honest I like that! I was going to purchase the small 15ml gift size but never got round to it - I'm content with my Liz Earle Cleanse & Polish! Still great review though! I haven't tried this but the packaging it stunning, so cute! Such a shame it was a bit of a disappointment! It's always good to know that cheaper products do the job just as well though!